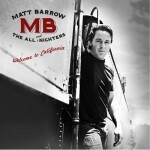 Matt Barrow And The All Nighters » Downtown LA Gig! Home » Events » Downtown LA Gig! A stripped down duo show with Matt & Xavier doing acoustic versions of All Nighter tunes at one of the coolest spots in downtown LA!